As you all know, I'm not really accepting ARCs for review other than for TLC Book Tours (and even that got scaled way back). 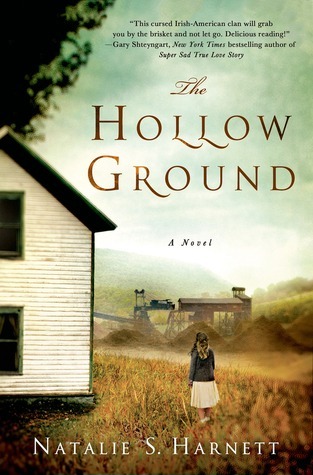 However, when I was approached with an offer to read The Hollow Ground, I jumped on it. Mostly, it was the setting that did it for me--I have been rather fascinated by the history of the coal fires in Centralia, PA (a literal ghost town--Google that shizzle), and my mom's family is from northeastern Pennsylvania, not far from Carbondale. My grandfather was a coal miner. So I thought for sure this would be a match made in heaven for me. But alas, it was not to be. This is going to be a short review because, yes...I DNF'd this book. (Did Not Finish, for the layperson.) And I hardly ever do that (in fact, it's only the third time ever). But I worked my way through 46% of this novel, and I just could not connect with it, no matter how hard I tried. And I tried...OH MY GOD did I tryyyyy (a little early-90's rock for you right there...anyone? You can thank me later). I think there were two issues for me here. First was the main character, Brigid. She was so static. I felt like a lot of things were happening TO her, but she was rarely ever making things happen. She was very passive, and thus came off as a weak protagonist. I didn't build any emotion for or against her, which is rarely a good sign. The second issue was that there wasn't much plot movement. I made it to nearly the 50% mark, and didn't feel like I had reached any level of anticipation for these "decades' old secrets" that were mentioned in the book's summary. Perhaps that anticipation would have come later, but by the halfway point, I found myself unwilling to wait for it any longer. 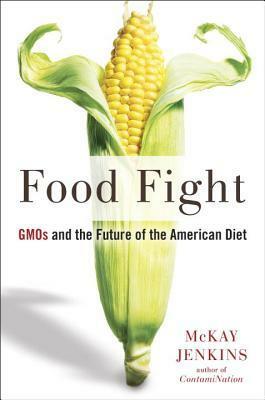 Hopefully others will have a better experience with this one (there are quite a lot of excellent reviews on Goodreads! ), but The Hollow Ground was a miss for me. Readers, have you had to DNF any novels lately? As with any review of a second or third book in a trilogy, I shall warn you: HERE THERE BE SPOILERS from book #1 (Crank) and book #2 (Glass). You can check out those reviews here and here. Got that out of the way? Good! On to Fallout. Fallout is quite different from the first two books in this trilogy. I almost think of Crank and Glass as one big, long book, because they are both told from Kristina's perspective and have very little lag time in the time periods between the two novels. 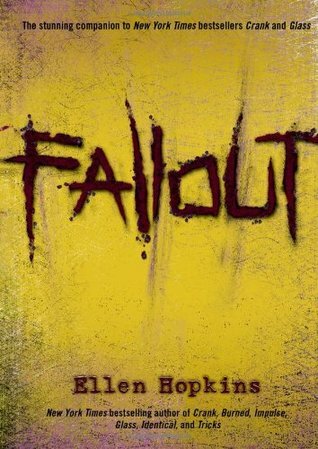 However, Fallout is about 17 years removed from the second novel, and is told from three perspectives: those of Kristina's oldest kids, Hunter, Autumn, and Summer. So, Fallout definitely stands out as a bit of a change-up in the trilogy. In the beginning, I wasn't sure I liked this change in perspective. After being so immersed in Kristina's POV for 2 books, I was feeling too disconnected reading from her children's view. Also, the first two books, though technically fictional, were based on fact, whereas this book is entirely fictional (the real-life "Hunter" was only 13 when this was written, not 19 as he is in the novel). I could feel that switch in authenticity just a bit, because at times, it felt like Hopkins was trying too hard to prove a point. What I mean is: each child had very obvious ways that they were affected by Kristina's behavior. Hunter had anger issues, Autumn had OCD and panic attacks, etc. and this laundry list of "typical" outcomes from being raised by an addict didn't seem to flow naturally within the plot. However--as I got to know the three protagonists more and more, their individual histories started to blend a bit better. I fell into their lives more easily. By the end, each character felt like a well-rounded person, and not just a poster child for the effects of drug abuse. Plus, Hopkins comes up with a pretty genius way to bring their stories together at the end, right alongside Kristina's, which tied things up nicely (even if their futures still seemed uncertain). An added bonus is that the children's stories are interspersed with fictional news articles that catch you up on the lives of some of the side characters introduced in the first two books. Adam from Crank, Brad and his kids from Glass, etc. This was a nice addition to the central story. Overall, despite my uncertain start, Fallout may have been the best of the three in this trilogy. The changing perspectives allowed me to see the first two books in a bit of a different light, while also highlighting the tidal wave of ill effects that Kristina brought down upon her friends and family during her drug addiction. Even though this book, of the three, is the most "fictional", I still find it sad that Hopkins wrote this often-depressing projection of the future based on the terrible battle that her own daughter is (still) facing with meth. Just like with the first two books--I highly recommend this trilogy. And if you read the first two, your experience is definitely not complete until you finish Fallout. Readers, what's the best trilogy you've read lately? Howdy, reader friends! And welcome to June. I can feel summer in the air! And because I am the parent of a toddler, that only reminds me of one thing! Because Frozen rules my life. But, in addition to listening to Small Fry use his "deep voice" to sing In Summer to me 10 times a day, I am also looking forward to some reading in the sunshine. Ahhhhh. 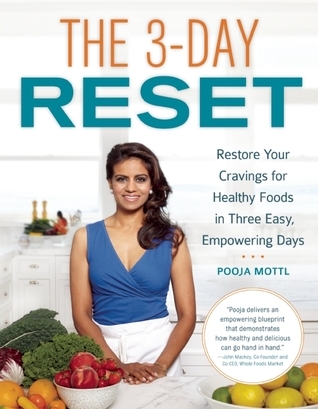 I also gave you a teaser for my upcoming review of Pooja Mottl's The 3-Day Reset, and I managed my one non-review post of the month when I recapped my fabulous day at the Rochester Teen Book Festival. Making time to write that one non-review post for the month was tough, but fun to do. It's nice to get out of the review cycle sometimes. I wanted to do the 6 Degrees of Separation meme that several people suggested to me, but didn't have time. Maybe for June? Does anyone know the book this month? One other book-related change of note: I am on a temporary hiatus from all ARC reviews, including those with TLC Book Tours. As much as I love TLC, I am reading at a really slow pace (for me) these days, and it's making it hard to get my reviews posted on time. I want to at least take the next few months off from ARCs, so that I can use the summer to just read books from my own TBR. You know, the thing I said I was going to do at the beginning of the year?? Yeah, I want to actually do that. 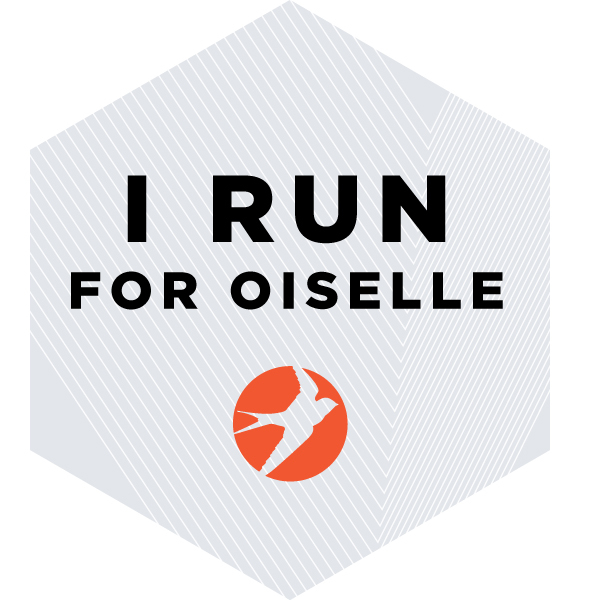 And now that my half marathon training is starting soon (June 30th! ACK), I want my bloggy stuff to be really low-pressure for a while. So let's go enjoy summer!! Got any great warm-weather plans coming up, my friends?? Why is it that I am generally not a fantasy-genre fan, and yet I continue to love Neil Gaiman? DISCUSS. I guess I should first clarify that this novel is not easily placed into one genre. Fantasy seems closest to the mark, but perhaps magical realism? A fable? A tad bit of horror? So maybe one reason that I enjoyed this book is because it flies in the face of the very IDEA of genres. It's got a bit of everything, and Gaiman manages to meld it all together masterfully. I love how this book begins as a middle-aged man's reminiscence about his childhood, and then creeps, almost imperceptibly, into a story that is rather disturbing and at times, horrific. I felt similarly about Coraline and Neverwhere. 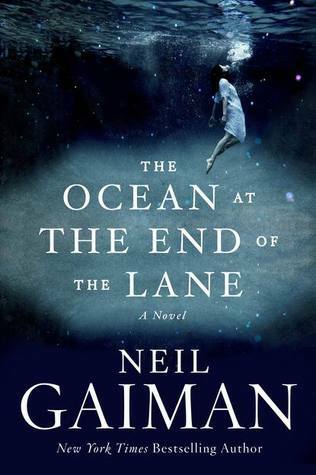 I hate to make broad generalizations about Neil Gaiman's work when I've only read 3 novels so far, but based on that limited repertoire, I'd say he has a knack for probing the (potentially frightening) forces that make our world tick. While you're innocently working at your job, or sitting in Starbucks, or reading a book on your couch...who (or what) is out there, allowing our world to exist? Are they good, or evil? Do they even LIKE us? The Ocean at the End of the Lane will leave you wondering about that. A lot. I was also drawn to the way this book often sets up children vs adults scenarios, and the power that the child characters wield (even when they don't think that they do). This idea of there being strength in the innocence of childhood (especially in the face of evil) has always been an interesting theme for me, and is seen quite a lot in Stephen King's work too. In the case of The Ocean at the End of the Lane, the young main character's POV also lends a more unfiltered view to the story than anything an old, "jaded" adult could have provided, which makes the end result that much more powerful. Notice how I didn't delve into many plot specifics here? I don't want to spoil anything for you. But trust me--the broader points (like the way the tone so gradually shifts, and the deeper meaning behind the plot action) are what will stick with you anyway. Yes, the story is great, but it's the story-behind-the-story that's going to leave this one rolling around in your brain for a while. Check out the other blogs on this book tour HERE. And connect with Neil Gaiman on his website, Twitter, and Facebook.